The early reviews are out for Thor: Ragnarok, and the consensus seems to be that it's a blast and one of Marvel's funniest films. It's about time Thor had a movie that was distinct, and not completely anonymous like the first two were. The timing is also perfect for Taika Waititi's brand of humor since Avengers: Infinity War promises to be pretty grim. But that's to worry about later. 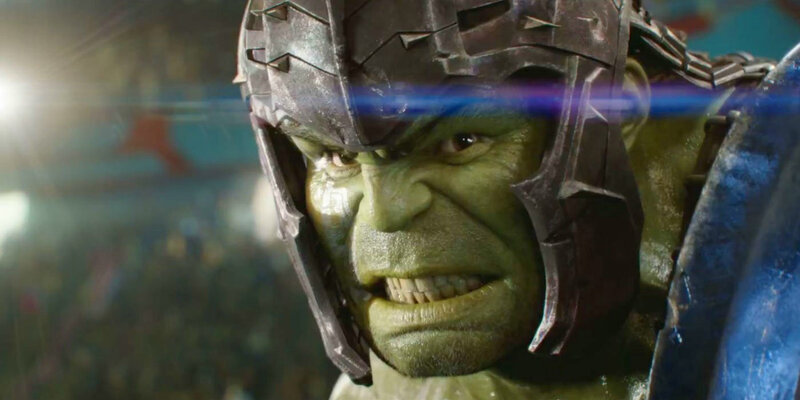 For now, check out a new clip, which is an expansion on the Thor vs. Hulk gladiator battle scene that has been a centerpiece of the film's marketing. Why are the two Avengers fighting one another, anyway? Thor has crashed on the gladiator world of Sakaar, where he's forced into combat for the entertainment of its ruler, the Grandmaster, played by Jeff Goldblum. He finds that the Hulk (Mark Ruffalo) is already there and the arena champion. Looks like he's unwilling to give up the title. Or maybe he's still harboring beef from their previous encounters? Or maybe it's something else, like he's under a form of mind control? We also see Loki (Tom Hiddleston) who is nervously watching the action. What's his game this time?